For Matt, it only seems like yesterday that he walked into his first AFL training session alongside Chris Esler and Matt Jenkinson but last Saturday Matt Tomkins officiated his 150thAFL game. Matt started his career with the Essendon District Football League in 2005 when a mate who ran athletics with him suggested he give it a try. He completed two years at Essendon before he joined the VFL in 2007. Five years later he umpired the 2011 VFL grand final and was appointed to the AFL squad in 2012. His first game at AFL level was a thriller between Essendon and Geelong at Etihad Stadium. The game gave him a good induction to crowd noise with the roof closed and a kick after the siren determining the winner. 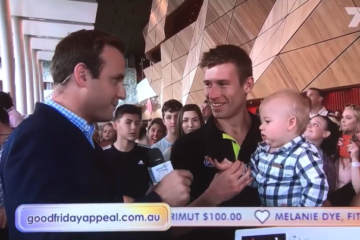 Matt quickly made an impact and was rewarded with his first AFL grand final in 2014, backing it up again with the 2015 grand final. To date, Matt has umpired 14 finals, an average of one for every 10.7 games umpired. His most enjoyable game was the preliminary final in 2013 between Fremantle and Sydney, which was his first run at Subiaco. In front of a fanatical home crowd, Fremantle won to earn their place as a grand finalist for the first time in their short history. 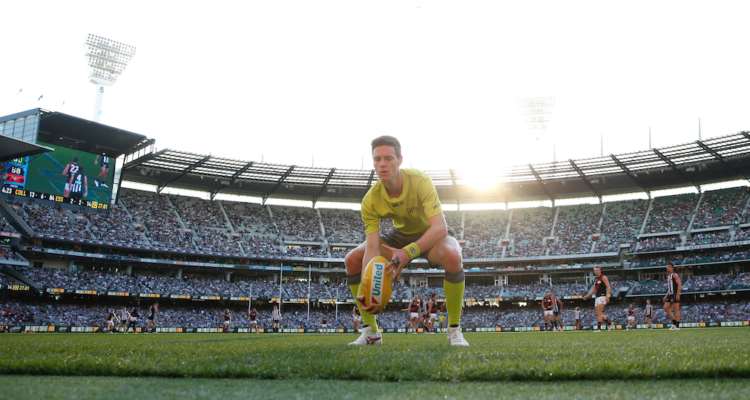 Matt loves boundary umpiring as it allows him to combine two passions of his – footy and running. He also enjoys the comradeship amongst the boundary squad and the challenges each game throws at him. Matt approaches each game in the same manner. He has the big breakfast and arrives at the ground early where he meditates to help him reduce anxiety before each game. Seems to be a winning formula given Matt’s record to date. Well done Matt and we wish you every success for the remainder of the season!